The ETH External Thermal Heater from Hydor offers peace of mind when heating your aquarium, with its unique PTC (Positive Therma Coefficient) system. Unlike other standard heaters, the ETH External Thermal Heater is not placed in the aquarium, but instead it is attached to the external filter. The heater is easily mounted on all external filters and heats your aquarium water safely and precisely. Heating rods are usually mounted inside an aquarium, but not the innovative ETH External Thermal Heater! Attaching the heater is easy, simply cut the outlet hose for your external filter and connect the ends of the heater using the supplied attachments. The ETH Heater will heat the water as it flows through the filter, before flowing into your aquarium. Please note that this heater should not be submerged in water and should be positioned vertically, not horizontally. The self-timing PTC heating element guarantees maximum safety against any risk of overheating and blowing. This extra safe element and the durable materials used mean that this heater is both energy efficient, safe and long lasting. Thanks to the easy-to-use LED display, you can easily set the desired temperature to the exact degree and check on the heater at any time. 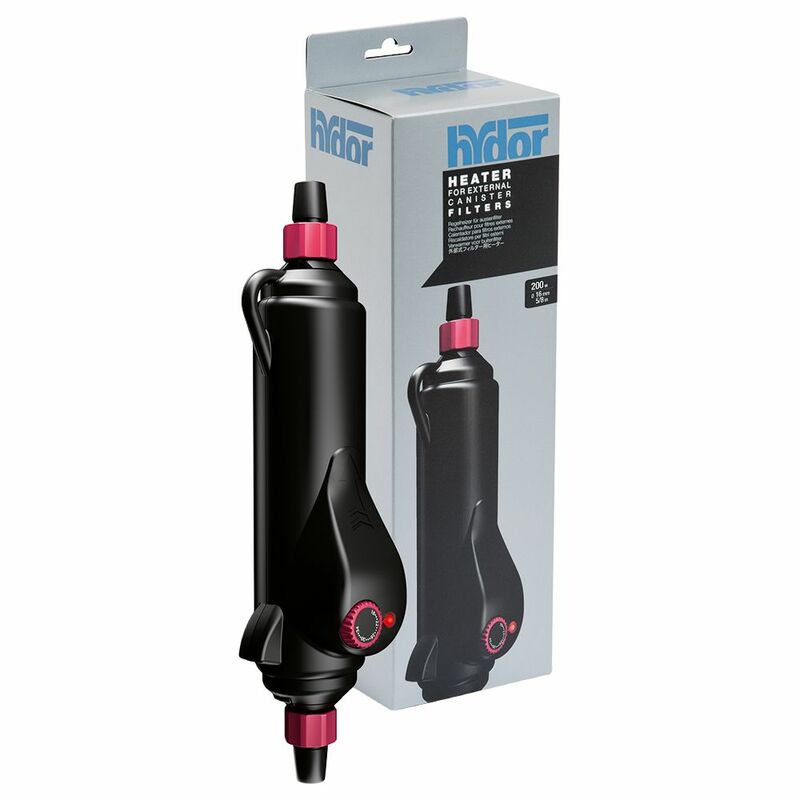 The ETH External Thermal Heater from Hydor is available in different versions with different wattages. Technical Data: ETH External Thermal Heater 200 ETH External Thermal Heater 300 Aquarium Capacity 100-200 l 200-300 l Length approx. 30 cm approx. 30 cm Hose length 16/22mm 16/22mm Input 200 Watt 300 Watt Please note: This device is designed for use in Germany and thus comes with a power adapter for use in the UK. What's this?. Price just £49.99! Click here to buy now!